When city-stomping kaiju monsters go to work, who looks after the kids? Based on the new picture book by Jeff Norton and illustrated by Leo Antolini, STOMP SCHOOL is a raucous yet heart-warming tale of creativity and being yourself. 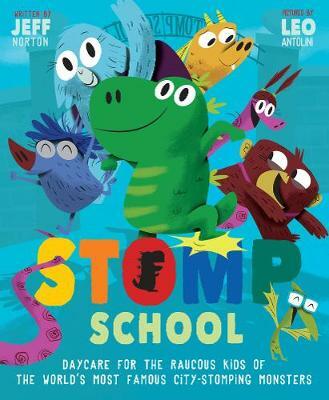 Set in the rambunctious day care for the world’s city-stomping monsters, STOMP SCHOOL focuses on Rikki and his friends as they smash, bash, and crash their way through life. We are developing the book for TV with Cloth Cat Animation. Read all about it in Kidscreen.